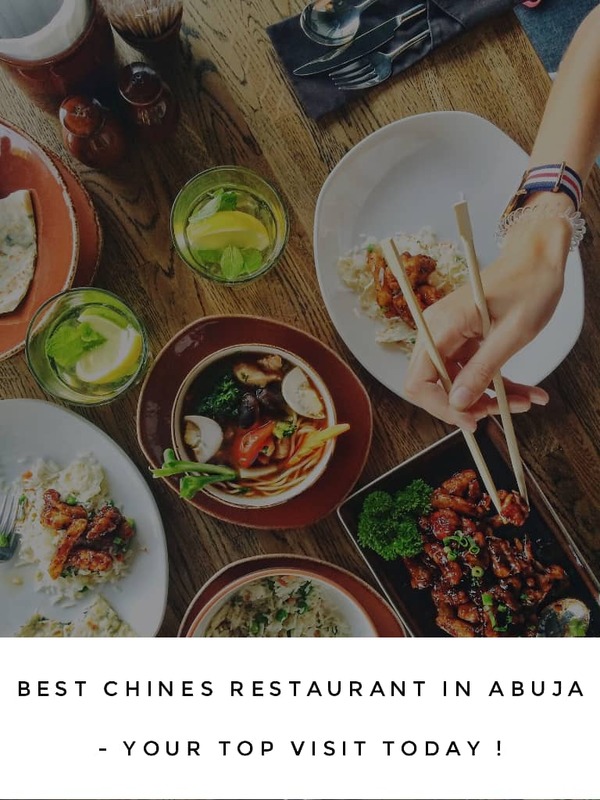 Best 10 Chinese Restaurant In Abuja - A True Must Visit LIST ! Food is one of the basic means in which man survive and also sustain life, from one country to another, man has varieties of delicacies they made for themselves and what suit them best at a particular point in time. We have heard of different situation people die of starvation as a result of not getting their desire delicacies, also there have been cases of people not eating because the particular food that originated from his custom is not prepared in the area such person find themselves. The list of Top 10 Best Chinese Restaurants In Abuja today in this write-up. The federal capital territory Abuja is one of the most visited and industrious cities in Nigeria. it is the seat of power and all the nation economy, place decisions are been made and take its effects to bind all Nigerians, you will quite agree with me that this city will house people from different location in and outside the nation, some visitors will even come as far back from Asian countries, Europe countries and many other countries, the big question that will keep pounding in one’s heart is, how will these visitors cope with Africa delicacies or live and sustain on the meal they have not tasted all their life. Some of these visitors came in regards to special assignments that may last them months even years, how then will they survive with Nigeria delicacies, and some are Nigerians who have stayed in the Chinese countries and they have fast acquitted themselves with the way of life over there so they have prepared for all the worst that could happen. The question again is, how then will they enjoy the delicacies they have been enjoying while they were in the Asian countries? …… Chinese Restaurants In Abuja. Location: 2nd-floor Silverbird Entertainment Center Plot 1161 Memorial Drive, Central Area, Abuja. One of the Chinese Restaurant we will be wrong on and that came first on our list is Woks and Koi, one of the leading restaurants that will give your taste bud one of the treatment you have ever had when it comes to Chinese delicacies. Their aroma is tantalizing and atmosphere of good seasoning will set your stomach dancing to the unknown beat in the agitation of the food preparation in this restaurant. You can get in touch with this restaurant using the following details which include their address, telephone number and other necessary information you may be needing to get in touch with this food vendor. This restaurant will persuade your sense of aroma until it complies with spending every bit you have in your wallet. They specialized in different Chinese delicacies and other delicacies, you fin their environment accommodating and unique in their sense of modesty. You can eat here as well carry out a mini party with their available spaces and suits. Here you find enough and different Chinese delicacies and other interesting food here in this Restaurant. You can as well find your fast foods, African dishes and many others in this eatery. Visitors Also Read : Top Ten Best Restaurants in Ikeja Lagos - Your MOST Sort For List ! When you are looking for one of the contemporary African dishes and Chinese Restaurant in the city of Abuja, this Restaurant is one of the eateries you can find the pleasure and satisfaction you need. You can see a different foreigner in this eatery and everyone enjoying every bit of the moment they spend in this restaurant. You have a dynamic experience with this Restaurant. Their efforts it is laudable and beyond what you can describe with just ordinary description. You can have your dinner and another relative party in this restaurant. In this Restaurant, with just the food menu they have in this place, they make your date romantic and many another thing you may be expecting to be available during a date or you just planning a reunion. In the traditional look of this Restaurant, it is designed to meet the taste of their customers from everywhere in the world. You can enjoy your solitude here in this Restaurant without stress from anyone or other customers. Many people are always on board patronizing this Chinese restaurant in Abuja that prepares hot and delicious delicacies. You can not regret eating from this Restaurant as they will give you all the treatment you may be needing and experience you are expecting from a perfect Restaurant. This is another best Restaurant you can have their service in Abuja, you can check out this Restaurant to enjoy life in China right in the city of Abuja. Here you have all the list of the Restaurant you may want to patronize in the city of Abuja, anytime you are chanced you can visit them to enjoy life to the full.